Full of first class animated click forward click backward diagrams, questions with instant answers, feedback and step by step working including chart work that is plotted as you click through it. 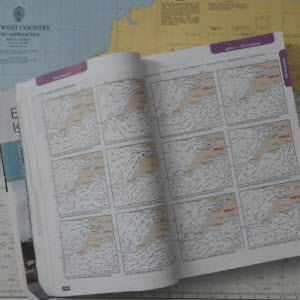 The RYA course pack containing the RYA course notes, an RYA practice almanac, two RYA practice charts, The RYA plotter simulator, connection to the online course and questions, free postage to anywhere in Europe and personal help throughout your course from our fully qualified instructors. The assessment can be taken online or at a participating training centre. If your certificate is for commercial use then the assessment can be invigilated by a professional person. Postage to anywhere in Europe, RYA assessment and certificate all included in the price. Your course will not expire until you pass you will never need to buy the course again. Your access last 6 months after which there is a £30 option to renew as many times as you like until you pass. You can also put your course on hold if you go through a patch where you are unable to continue. Course to steer, extended lessons on leeway, estimated position taking into account leeway. Buoyage and lights, buoyage revision, dipping distance and light characteristics. Electronic navigation, GPS Basics, using navigation webs, using cross track error, using depth sounders, radar and chart navigation systems. 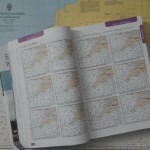 Meteorology, weather Information, reading synoptic charts, global weather systems, low pressure systems, local weather effects, sea breeze, fog and divergence and convergence. Collision regulations, general regulations, lights, shapes, sound signals, underway, making way and collision avoidance. Safety and environment, safety briefs, safety equipment, mayday, rescue, dangerous situations, fog and stability.